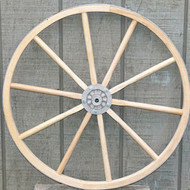 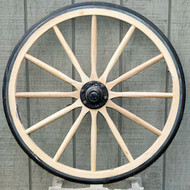 Wagon Wheels - All the Wooden Wagon Wheels are made in the heart of Amish Country in Lancaster County. 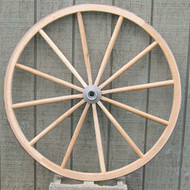 Whether it's the Economy or the Heavy Ornamental Wheel, it is all top quality, with metal band, cast aluminum hub, and select hardwoods. 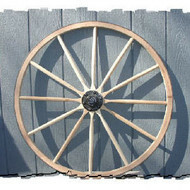 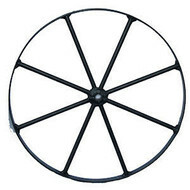 Wagon Wheels Cannot Be Shipped Through USPS.